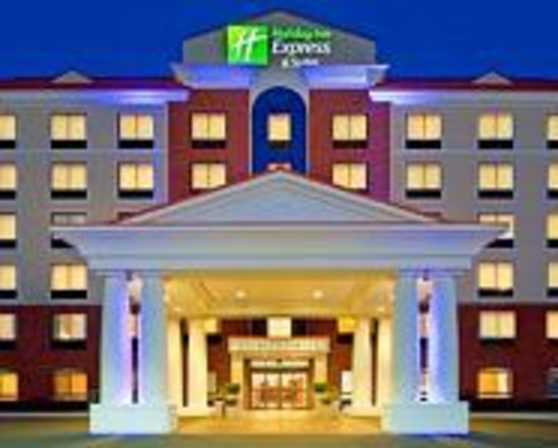 Welcome to the Holiday Inn Express & Suites in Latham, NY near Albany International Airport Our choice Latham, NY accommodations are ideally located off I-87, just ten miles from downtown Albany and near many businesses and government offices. Travelers looking for lodging in Latham can enjoy a stay at our smoke free hotel near the Albany Airport, four universities and the famous Saratoga Race Course. Families will love our Latham hotel's close proximity to area attractions like the Empire State Plaza, Aqua Duck Tours, NY State Museum and Hoffman's Playland, a family-friendly theme park located two miles from our accommodations in Latham. If shopping is your pleasure, check out the Colonie Center Mall or the huge Crossgates Mall in Albany near our hotel in Latham, New York. There are many companies near our hotel in Latham, like Century Hill, SUNY Albany, Siena College and the New York State government offices. 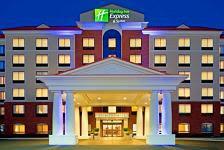 Business travelers can also appreciate the hotel's free airport shuttle to nearby ALB Airport. Our Latham, New York hotel also offers many hotel services, including a 24-hour business center, free high-speed, Wi-Fi Internet access and flexible meeting spaces with seating for 150. At the Albany Airport Holiday Inn Express & Suites, we're pleased to offer our guests a range of rooms that fit any budget. From Standard Rooms to Junior Suites, all the way up to our Executive Suites, we have rooms that can accommodate every guest. The Executive Suites are often used as Bridal & Honeymoon Suites and provide the perfect atmosphere for the bride to begin and end her picture perfect day. While lodging in Latham, you can take a dip in the indoor pool and whirlpool or take advantage of the 24-hour fitness center and complimentary hot breakfast bar. Check out our great Latham hotel room deals and start planning your trip today.